What is the difference between hop-on hop-off and the national coach buses? How are you going to travel around New Zealand? InterCity, Kiwi Experience, Stray and Flying Kiwi are all considered “backpacker buses” that can take you nationwide. However, they all offer different experiences when it comes to travelling by bus in New Zealand. The backpacker buses are split into two types: “national coach” and “hop-on hop-off”. But what’s the difference between the buses in New Zealand? There is no right or wrong way to travel New Zealand. Everyone has different wants from their backpacker trip so simply saying one type of bus is better than the other is mere bullshittery! 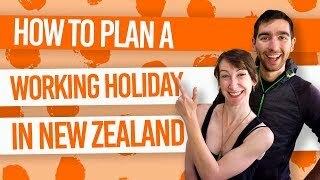 A good way to help you decide whether to go hop-on hop-off or national coach is by making a loose plan about your must-see New Zealand locations. Then asking yourself if you want to be entirely independent, making your own plans and bookings as you travel? Do you want to share your travels with other people? Do you want some guidance on recommended places to travel in New Zealand? So read on to find out what is the difference between hop-on hop-off buses and national coach buses. What is hop-on hop-off and national coach? Here are some super simple definitions. Often described as a “flexible bus tour”, the hop-on hop-off buses take a chosen route around New Zealand with a driver guide. The hop-on hop-off element comes with being able to “hop-off” the bus anywhere along the chosen route and hop back on the bus at any time according to the buses departure schedule, whether it is the next day or the next three months. Bus passes are usually valid for 12 months but also have a “minimum travel time” too meaning the minimum amount of days it takes to complete the pass. The hop-on hop-off companies are Kiwi Experience and Stray, while Flying Kiwi offers the option to hop-on hop-off their more inclusive trip which also includes accommodation and meals. For a more in-depth explanation, dive into What is a Hop-On Hop-Off Bus? This is your point A to point B bus service. You can take any and multiple routes on the vast coach bus network. You can either pay for one bus trip at a time or get a multi-trip pass. The only fully national coach company is Intercity. For more information, check out Bus Network in New Zealand. One thing that differs majorly between the hop-on hop-off and the national coach is the experience. After the usual morning bus departure, usually between 7-10am if you are taking the bus from the first pick up point, the bus driver helping you put you luggage on the bus, and checking your name for the booking, the experience between hop-on hop-off and national coach changes quite a lot from there! You’ll spend most of the time on the bus during a national coach trip. If you are taking a longer journey, usually between 3-8 hours, you’ll have a 30-minute lunch stop and perhaps some 15-minute coffee and toilet breaks. All this will be explained to you by the bus driver while you’re on the road. (So don’t have your headphones blasting!) The quality of the coaches differ between the national coach companies and even within the bus companies, so where some buses have free WiFi and the driver acts as a tour guide talking about the locations you’re travelling through, other buses are very basic: seat, wheels and a silent bus driver. A variety of people of all ages and internationals to locals use the national coaches. Hop-on hop-off really lives up the name, as you won’t be sitting on the bus for too long without a break. As well as the expected toilet, coffee and lunch break, your “driver guide” will also stop at the attractions along the way. Rock formations, short hikes, viewpoints and waterfalls… so many waterfalls: these are some of the common things the driver shows you. 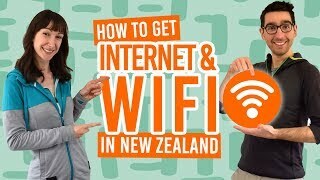 You’ll also stop at the supermarket for any groceries you may need to cook in the hostel, with less supermarket trips with Flying Kiwi which includes at least one meal a day. Because the hop-on hop-off experience is meant to be social, the driver guides are likely to do icebreakers with the passengers to get everyone talking to each other. As expected, the guide talks about the places you travel through, but also books activities and accommodation for you. Doing the paid activities and staying the recommended hostel is not compulsory though. You can be in charge of as much or as little as you want. Once you get to your destination, you can decide to either break away from the group or stay in the same hostel with your fellow passengers. The driver will take you to the activity providers to pay for any chosen activities, then the rest of your day is spent socialising with passengers and the driver, doing activities or doing your own thing. It all begins again the next day, or you can wait for a later departure a few days from now or even a few months from now. If you have a bucket list of places you want to see in New Zealand and a limited budget, then the bus route and destinations could be a deciding factor on what type of bus to take. The vastest bus network is via the national coach buses. Trips run both ways between destinations and drop off in the towns and cities between destinations. InterCity has the biggest bus network in New Zealand with daily departures. By far, the national coaches are the most independent way to travel by bus in New Zealand. Hop-on hop-off also has national coverage of New Zealand. One point to note is that the route mostly goes one way and has to be travelled in order. However, there is the opportunity to travel the route again for free once you have completed the pass and as long as your pass is valid. Also, there are different passes available, from just travelling the north of the North Island to doing every stop on their network. Stray, Kiwi Experience and Flying Kiwi do, however, have different routes and stops than each other. They all hit some of the major highlights and cities of New Zealand while taking you to some more “exclusive” destinations in more wilderness areas or national parks. Check out Kiwi Experience’s full map here, Stray’s full map here and Flying Kiwi here. There’s no need to beat around the bush. The national coaches are the cheapest way to travel New Zealand. After all, they are New Zealand’s answer to budget transport. Additionally, national coaches have variations of multi-trip passes that can bump down daily trip prices a little further, like InterCity’s FlexiPass. But after you take into account the inevitable hop-on hop-off bus pass discount (bus passes are always on sale) and work out how much you are spending per bus trip between national coach and hop-on hop-off, you might find that the price difference is not as extreme as it would appear at face value. A good way to roughly work out how much you will be spending on a single bus trip per day with a national coach multi-pass or hop-on hop-off bus pass: take the bus pass price and divide it by the minimum days of travel you can do on that pass. Once you have compared prices, which change regularly with the ever-changing sales, you may find that although hop-on hop-off is more expensive than national coaches, the price difference is often so little that it might make it easier to let other factors like service, experience and destinations influence your decision rather than the price. Before you book your bus pass though, always look at what is included and what’s not. You might get quite a good deal, for instance a Milford Sound trip included in the price of your bus pass, but on the other hand there are extra expenses you may feel obligated to make, for example a couple of the activities/overnight stays with Stray cost more than NZ$75 rather than the usual low hostel price. Plus, although Flying Kiwi does include camping accommodation, is camping what you want to do in New Zealand? It’s not for everyone. For more information on budgeting for a bus trip, head to How to Budget for a Hop-On Hop-Off Bus Trip Around New Zealand. More articles to help with your backpacker bus trip! Don’t leave without checking out some of these helpful articles about travelling on Stray, Kiwi Experience, Flying Kiwi, InterCity and Manabus.